iPhone X Gsmarena Specs and Price: The iPhone X is one of the three devices launched in September 2017 by Apple, the others being the iPhone 8 and 8 Plus. Of the trio, this smartphone is the most highly specced and as expected the most expensive, making it the costliest iPhone ever. Even though the iPhone 8 should've gotten all the attention as 2017's iPhone device of the year, not much has been left to be desired since the iPhone X has more to be admired. 2017 iPhone 8/8 Plus and iPhone X. It must have also crossed your mind that probably, the next device inline should've been the iPhone 9 given the numeric ascending order trend Apple has been following to name their devices, but I guess this device is tagged the 10 to mark Apple's 10th year anniversary. I could be right or wrong, but it's too much of a coincidence. However it is, the iPhone X pronounced as the iPhone 10 is here featuring the latest technology, and it is definitely a better device from its predecessors. It has the best features in any iPhone ever, and currently, there is no or very few smartphone(s) also released in 2017 that is on par with it. I'm yet to see any device from other smartphone manufacturers with the same great specs but then, there's none that's being offered at that price as well. You might argue that there are devices with higher battery capacities, camera resolutions, and better specs sheets and are offered at a lower price than the iPhone X.
I totally agree with you, but with Apple devices, more doesn't mean better! A marketing technique used by most manufacturers is to pack in more features and values in specs sheet, which an average user translates into it be a better device, which most times turns out not to be the case. You end up having issues with overheating, lagging and a device whose lifespan can't exceed two years tops. Whereas Apple focuses on the quality of their devices to offer a high level of performance instead of the quantity, because trust me, even if it has a camera resolution of 4MP, it will still capture better pictures than a device with a 16MP camera. So its more of real-life operation than values given on paper, which Apple is all about. What are the iPhone X specifications? A section of this post takes care of that, where a review of the features and specifications of the iPhone X that makes it the best iPhone ever and one of the best phones in 2017. The iPhone X has a 5.8 inch Super Retina OLED display screen with a Quad HD resolution of 2436 x 1125 pixels and pixel density of 458 pixels per inch. This screen type with a 1,000,000 to 1 contrast ratio is the first in an iPhone and the best since previous iPhones mostly used an LED LCD screen. It is also the best considering that it is more advanced than an LED screen. OLED pixels generate their own light and do not require backlighting like LEDs. Individual pixels light themselves when necessary, hence there is control over the level of brightness. A wider viewing range, darker blacks, brighter whites and less battery power consumed. 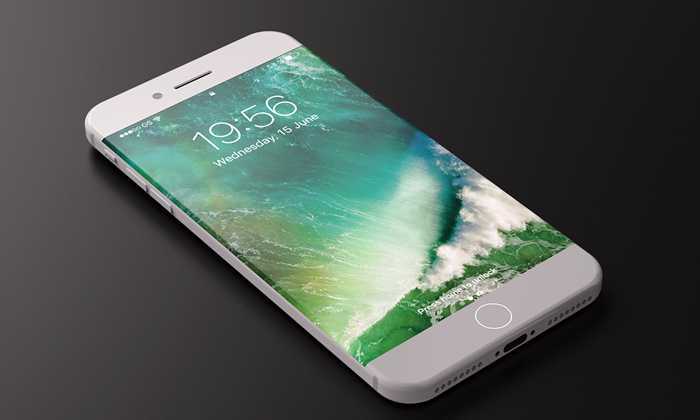 Like the iPhone 8, the iPhone 10 also features Apple's TrueTone technology that tends to adjust the screen's brightness to that of the user's environment, thereby giving a display that is not too bright while indoors and more bright while outdoors. Good color reproduction that resembles more natural colors on this display, images, and videos displayed to be of remarkable quality and a good gaming experience. At 5.8, this is also the only iPhone with the largest display aimed at lovers of smartphones with large screens. It has been its goal to create an iPhone that is all display, and the Iphone X fills the hand and dazzles the eyes. While this is at the expense of ease of handling the device easily with one hand, it offers a large enough screen to be read from, viewed from and a wide keyboard layout for your fingers while typing. The iPhone X has a glass build on its front and back (the hardest glass ever in a smartphone, Apple claims) with a layer of Aluminium between both giving a similar build to iPhone 4 and 4s. Apple claims that the X is made from the most durable glass material to ensure that it does not only look premium but maintains its premium build for a very long time. The dimension of iPhone X is 143.6 x 70.9 x 7.7 mm and its weight is 174g, making it slightly thicker and heavier than the iPhone 8 at 7.3mm and 148g respectively. The device also has an IP67 rating which means it can be immersed in about 1 meter of water for up to 30 minutes. It is available in two color options which are space grey and silver. Now, unlike the iPhone 8, 8 Plus, iPhone 7 and older models of the iPhone, the iPhone X lacks a home button which also eliminates the front embedded fingerprint sensor that is found on the iPhone 8. Without the home button, multitasking and running apps in the background are still easy thanks to the Apple's iOS 11 operating system. One can still access the home screen by using several gestures which include tapping the screen, enabling the raise-to-wake feature, swiping an open app up from the bottom and swiping along the bottom of the screen to switch between apps. In terms of security, there is no Touch ID security feature with the use of a fingerprint sensor but a Facial ID security on the iPhone 10. How does the Iphone's X Facial ID security work? To further improve the level of security on this device, users get a facial ID recognition technology that makes use of the device's front camera for identification. With Apple's TrueDepth camera system and its sensors (infrared camera, dot projector, etc), this smartphone can be unlocked when it is brought close to the user's face, their eyes are open, and then the image is scanned for recognition. While a Touch ID has a 1 in a 50,000 probability of someone else's finger unlocking your device, Apple claims that iPhone X has a 1 in a 1,000,000 chance of another face unlocking your phone. The iPhone X's facial ID recognition technology can detect the user's face even in low light conditions and in the dark. The iPhone X is powered by Apple's A11 Bionic chip which is said to be the most powerful and smartest chip ever in a smartphone. This CPU with six cores manages tasks between the cores, where four cores are efficiency cores and the other two are performance cores. The efficiency cores are up to 70 percent faster while the performance core is 25 percent faster than the A10's chip in the iPhone 7. This smartphone is also powered by an Apple‑designed tri-core GPU which is 30 percent faster than A10's GPU. Faster operations from the iPhone X, ability to run latest 3D games and a longer battery life. The iPhone X has a RAM size of 3GB, large enough to handle seamless multitasking. It also has an inbuilt storage of either 64GB or 256GB, translating into two variants of the iPhone X. Depending on your storage needs, you can acquire one that best meets it, because there is no expandable storage slot for a microSD card on the iPhone X. That notwithstanding, either capacity is large enough to provide adequate space for your games, apps, and files for a reasonable amount of time. The iPhone X runs on the latest operating system from Apple, iOS11 with updates in its Artifical Intelligence software, Siri11. ƒ/2.4 (telephoto camera) and a f/1.8 aperture (wide-angle camera). Both rear cameras of this device have an optical image stabilization feature that allows images of moving objects or when the device is in motion to be without blurs. The wide-angle and telephoto cameras on iPhone X have an optical zoom feature that brings far objects closer, as well as the digital zoom of up to 10x for photos and 6x for videos. The iPhone X has a front camera also known as a TrueDepth camera with a resolution of 7MP. Compared to the iPhone 7, 8 and 8 Plus, these rear and front camera resolutions of the iPhone X are the same. But there are significant changes like those already stated above. The front camera of the iPhone X now surpasses the functions of taking selfies and video calling. 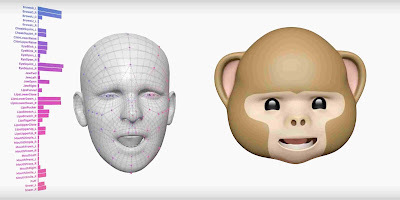 There is an animated emoji feature called Animoji. It makes use of the user's facial expression to create an emoji. One is no longer limited to the emoji on their phone but can create a unique animoji that best expresses their mood/feelings using the emoji of a unicorn, monkey, dog, robot, pig, cat and pile of poo. This camera also combines portrait lightning with selfies which applies light to an image being captured making it brighter and also changing the light in the background. The TrueDepth camera offers 3D tracking, portrait Selfies, portrait Lighting Selfies, auto image stabilization, exposure control, face ID, and Animoji. The sensor size of either camera is larger, thereby allowing in more light to enable bright pictures that closely resemble what the user sees in real life. The battery capacity of the iPhone X is currently unknown. Apple claims that between charges, the iPhone X can give an additional two hours battery life than the iPhone 7, hence you can expect a significant increase in battery life and assume that the capacity difference between both devices won't be a major one. Combined with the battery management power of the A11 bionic chip and low-power mode in iOS 11, one can have a full days' battery life depending on the usage. The iPhone X battery can provide talk time (wireless) up to 21 hours, internet use up to 12 hours and video playback time (wireless) up to 13 hours. There is support for wireless charging on the iPhone X as well as fast charging support. With wireless charging, you can charge the iPhone X with Qi wireless chargers and Apple's AirPower charging pad, while fast charging allows the device to be charged up to 50 percent in 30 minutes. The iPhone X is a single SIM smartphone that makes use of a nano-SIM. Other connectivity options for the iPhone X include WiFi, Bluetooth, GPS, NFC, and USB. Its sensors include Face ID, accelerometer, gyro, proximity, compass, barometer. The iPhone X will be available for pre-order starting from October 27. It will be shipped to countries starting from November 3 and In 55 countries around the world, the iPhone X will be sold. The Iphone X price for the 64GB model is $999 (£999, and AU$1,579) while the 256GB iPhone X cost is $1,149 (£1,149, and AU$1,829). Deducing from this price, the current exchange rate, and with no addition of tax charges, the iPhone X price in Nigeria is expected to be about 354000 Naira. This stated price will vary significantly depending on when you purchase the device and where.